The Cheesecake Factory is a Breakfast, International, and American restaurant where most Menuism users came for fun with friends, paid between $10 and $25, and tipped less than 15%. "Food mediocre. Not sure why is so popular. Cheesecake good thi. Just get to go for desert and eat dinner elsewhere. No worth the wait"
A Breakfast chowhound from Coupeville, WA tried it, liked it, and rated it . They liked the food, liked the service, and liked the ambiance. A dining patron from Seattle, WA tried it, didn't like it, and rated it . They didn't like the food, didn't like the service, and liked the ambiance. 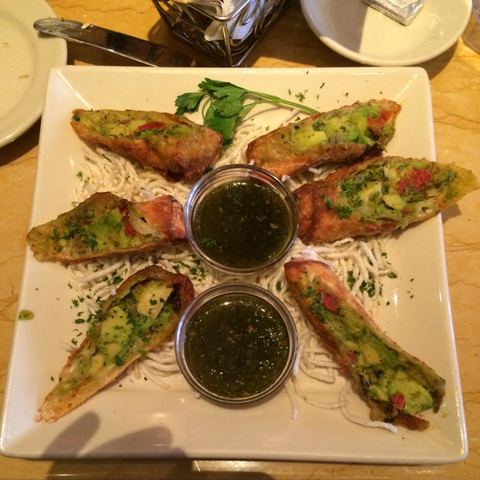 6 reviews of The Cheesecake Factory, first by LittleJu. In general I don’t like the Cheesecake Factory, something about it just makes it feel very manufactured. The decor is nice, but the selection is a bit too much, and the service a bit too robotic, etc, etc. Plus I don’t find the food that great. Even the cheesecake feels “manufactured”. But I came here for brunch for the first time and was pleasantly surprised. The food was good and very resonably priced. I’d come back for brunch definitely. Cheesecake Factory is a great place to come for a variety of occasions, whether it is for a date, fun with friends, or just a good meal out at a reasonable price. I’m always able to eat here for between 8 – 15 and the dining experience is nice, service is decent, it’s clean, and a fun lively environment. I definetely like this place better than somewhere like Red Robin. It just feels more upscale and they menu is pretty extensive with something for everyone. They make some nice drinks too. I thought this was really bland and one of the more “bleh” items on the menu in terms of taste. Typical flavored cheesecake with strawberries as topping. No doubt that strawberries become hot potatoes here. The menu is HUGE! I had a hard time deciding what to pick because there were sooo many choices! Everyone is guaranteed to be able to pick something interesting from the menu! The portions are hearty… the mashed potatoes were amazing.. The only downer (and suprise) was the 40 min wait on a Wednesday night at like 8:30pm! crazy line up! Confucius says: No matter how good the food is, it’s useless if you can’t get a table. Then again, maybe that’s why the food tastes good because they starve you to the brink before even giving you a table. This place does NOT have reservations, so you must go their and wait. One saving grace is that at least you can shop in the mall next door if the wait is long. I, being an old man I am, do not like to wait. And I dont particularly like cheesecake, so this place will not get 4-star from me. Once they seat you, the food selection is actually not bad. Aside from the desert attraction, there isn’t anything particularly appealing from the general food section of the menu. I used to like coming to cheesecake factory for the large portions, and the cheesecake. There are MANY many cheesecake and food varieties to choose from. The most recent and the last time I will ever come here was for dessert – cheesecake, warm apple crisp. Our party did not leave tip, for bad service. We went in during the afternoon when it was not busy on a weekday. We didn’t have to wait for a table, but we had to wait over 10 minutes before we could order our desserts. When we left, we were stopped by our waiter. He gave our party a short lecture on how we should give tip. We end up give him a few coins and left. I think the appropriate thing we should have done was talk to manager, but in my opinion, I don’t recommend this restaurant. If you really want to try this restaurant, I do not recommend coming here weekend especially at night. It will take more than 30 minutes to get a table. The Cheesecake Factory is located near the cities of Beaux Arts, Medina, Clyde Hill, Yarrow Point, and Beaux Arts Village. People found this by searching for: Cheesecake Factory Bellevue Brunch, Cheesecake Factory Menu Bellevue, Why Cant You Show Me Cheesecake Factory Menu, Cheesecake Factory Bellevue Way, Cheesecake Factory Bellevue Menu, Cheescake Bellevue, Dessert Menu Bellevue,Wa, Cheesecake Factory Bellevue Wa, and Cheesecake Factory, Bellevue,Wa.